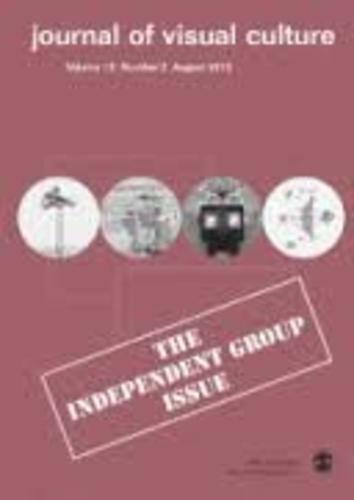 Written on invitation by the ‘Journal of Visual Culture’, and guest editor Professor Anne Massey, for a special volume on the ‘Independent Group’, Walsh’s 10,000-word essay (which exceeded the 5,000 word length but was left unedited due to its importance and originality) presents an account of Hammer Prints Ltd, a design firm established by Nigel Henderson and Eduardo Paolozzi in the 1950s. Building on her pioneering and ongoing research into Henderson, the initial lecture, on which the article is based, was presented at the ICA in London (2012) and led to an invitation to deliver a lecture for the first major exhibition of Hammer Prints held at Fristsite Gallery in Colchester, UK, in January 2013. Walsh’s research was acknowledged throughout Firstsite’s exhibition publication ‘Hammer Prints’. Drawing on archival material that Walsh had exclusive access to in the extended family archives and estates of Henderson, Paolozzi, Alison and Peter Smithson, and Richard Hamilton, the article re-situates the ethos and designs of Hammer Prints within the wider aesthetic concerns and strategies of the Independent Group and the reordering of the visual first proposed by the artists in collaboration with the Smithsons in the seminal exhibition ‘Parallel of Life and Art’ (ICA, 1953). The article argues that the importance of Hammer Prints has been significantly marginalised by art history as a category of applied arts. As Walsh demonstrates, a more complex account of Hammer Prints is revealed once it is reconnected to both artists’ interest in gestalt principles of perception, contemporary theorisations of ‘pattern’, ontological questions of art posed by Malraux’s idea of the ‘imaginary museum’, and Duchamp’s idea of the ‘portable museum’. It concludes by locating Hammer Prints within the new field of Communication Theory developed by Gregory Bateson which has been understudied in relation to post-war British art, design and exhibition-making.